How do you condense a meeting that may last several hours into a few pages of concise, understandable, minutes? Meeting minutes are the official record of what decisions were made, who was in attendance and all other consequential events that occurred during the board meeting. 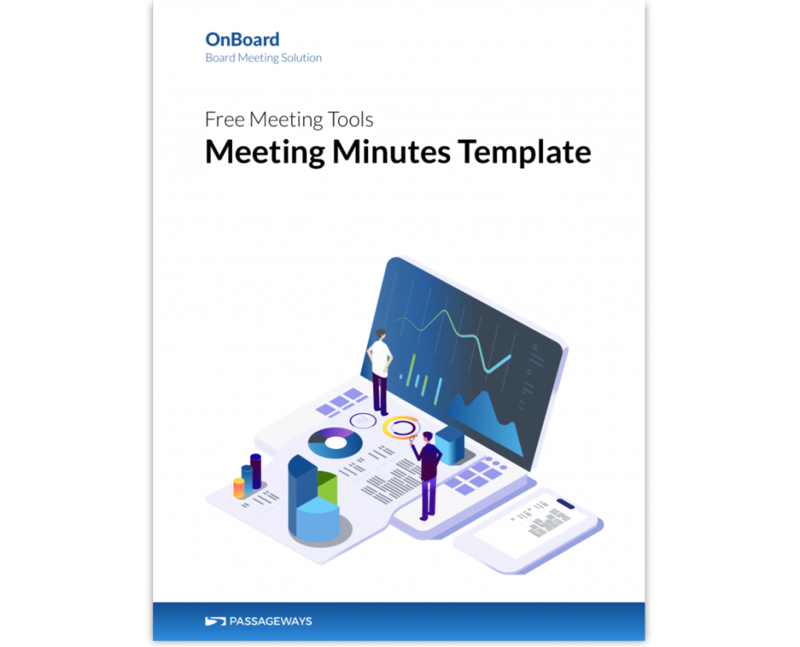 This .docx meeting minutes template will provide you an example of how the best boards write their minutes to accurately and legally reflect what occurred during the board meeting. The most useful skills matrices are detailed and clearly linked to the Board's strategic objectives. Instead of stating that Directors must have specific industry experience, or a specific field of knowledge, they allow you to take a holistic approach to building your board of directors. 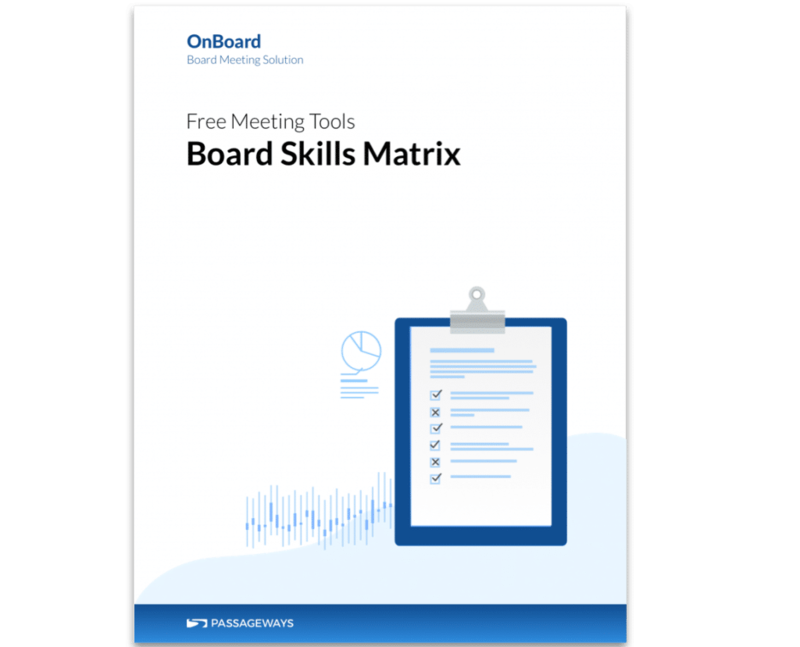 This sample board assessment matrix .xls file will help you assess your board skills, background, and experiences. Edit it to suit your organization and your board's strategic objectives. An agenda is a chronological list of meeting events and topics, beginning with the call to order and ending with an adjournment. Agendas focus the direction of a meeting, including where and when the meeting will take place, and contain discussion items such as committee and departmental reports, old business and new business, and may contain proposed decisions for consideration and voting at the meeting. 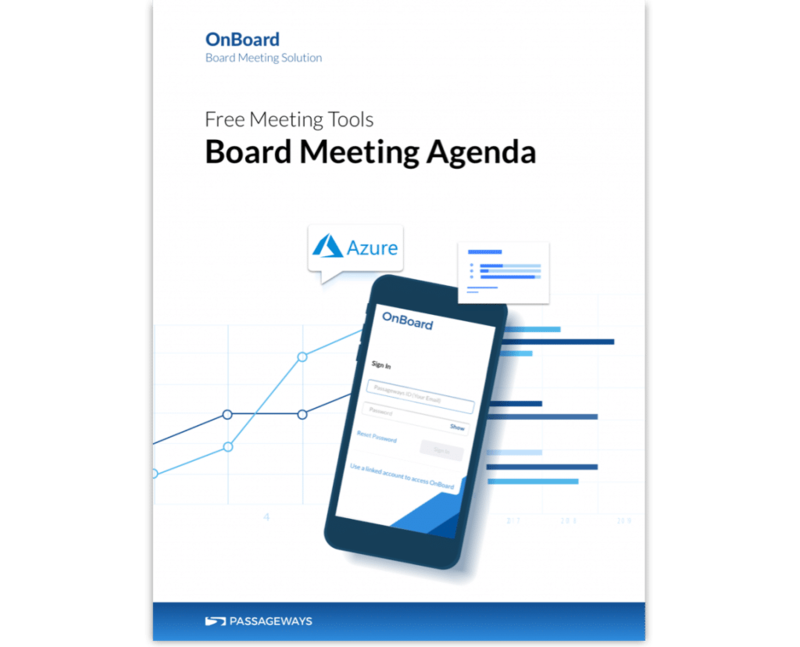 This .docx board meeting agenda template will help you easily create an agenda that's focused on creating a purpose driven meeting.